Prepared Fly Tyers Wax, still produced to the same wax recipe Veniard have been producing for decades. Just wipe the Veniard Prepared Fly Tyers Wax against your thread for it to work, or if you want to soften a little a great tip is to break a very small piece then immerse in warm water which will soften it, stick it to your index finger and draw your thread through it as required. 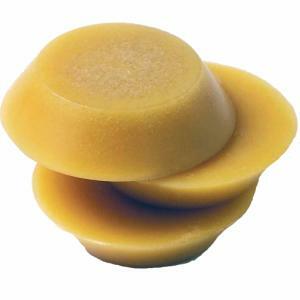 A simply brilliant fly tying wax and a consistently huge seller used by almost everyone who ties their own flies. 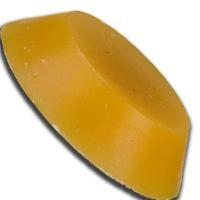 Note wax is brittle, if small pieces break off, it can still be used, just melt it back on to main wedge for easy use. Note : Picture shows three Veniard Prepared Fly Tyers Wax wedges, pack contains one wedge. Prepared Fly Tyers Wax, just one of over 4,000 quality Fly Tying Materials in stock. Product is as described and delivery as promised. Perfect. Great service as usual. Used it for years, does the job required, good wax for fly tying. Good service nice wax will use again. The wa I received was in excellent condition nice and sticky when warmed in the hand prior to using as it should be no smells coming off it a good quality product.